A 10.5cm X 15cm, 24 page full-colour and B&W zine (with postcard collages front and back) with peppermint cover card and a bright green spine. This zine is a bound tête-bêche (from the French meaning "head-to-toe", and also referred to as upside-down or reversible binding). You can begin your journey in Genova or Johannesburg. It's up to you. 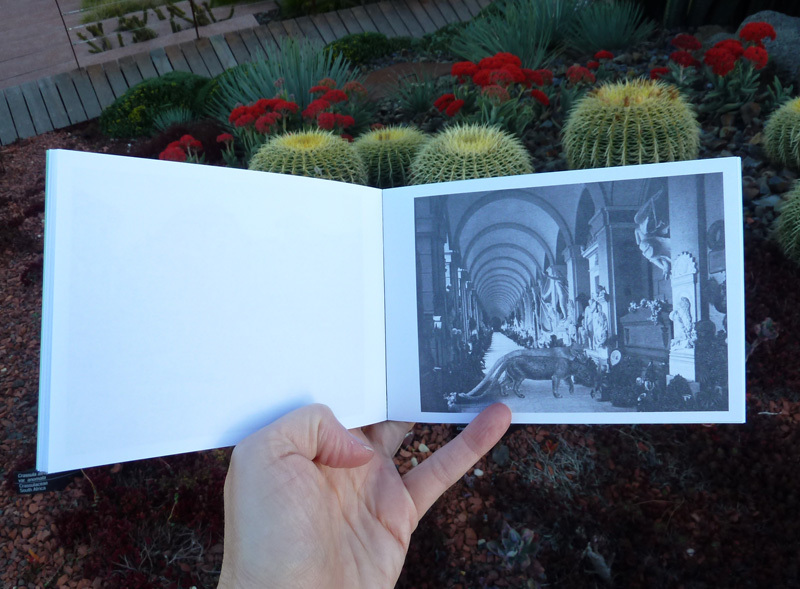 This zine includes seventeen pages reproduced from the artists book Before all colour faded (Ricordo di Genova) and seven pages reproduced from the artists book In search of a time the heart does not recall (Souvenir of Johannesburg) (2009). 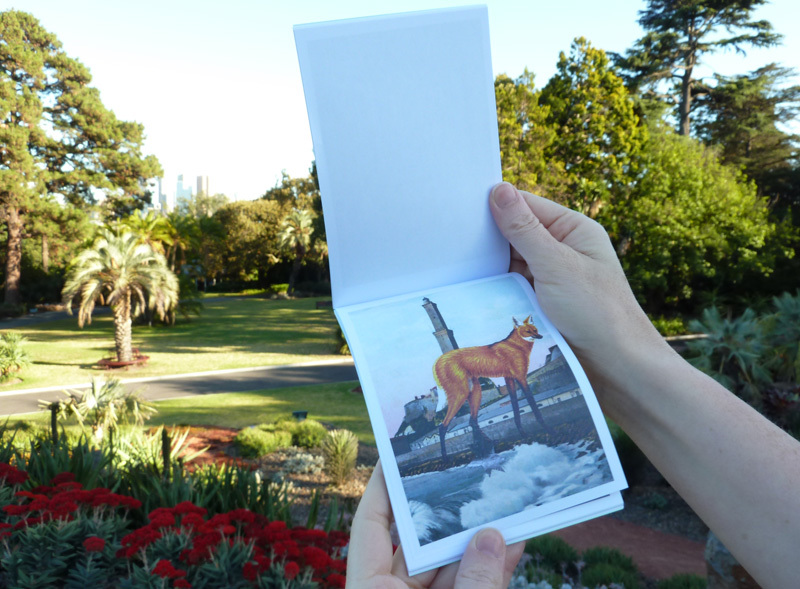 Both artists' books were exhibited as part of A key to help make your own world visible (Craft Victoria, 2009), and our tale set in Johannesburg was also exhibited as part of By This Unwinking Night (Latrobe Regional Gallery, 2012). 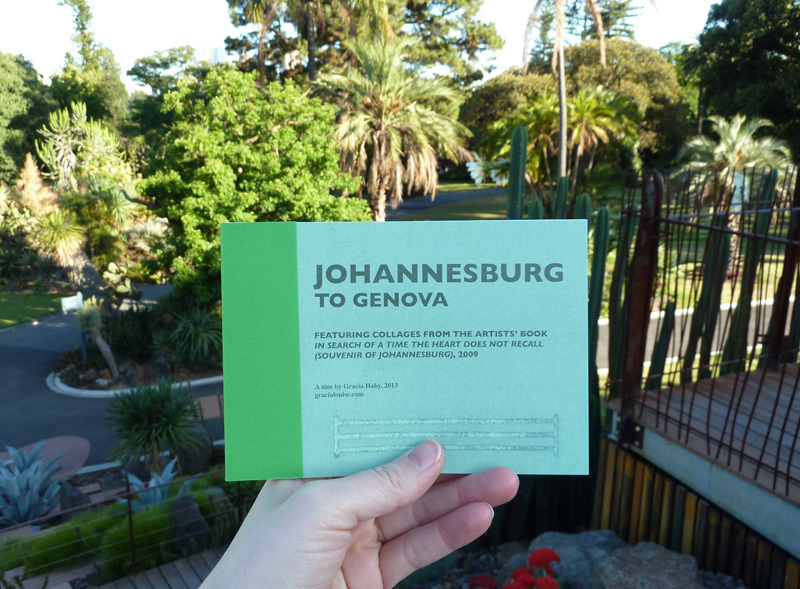 An edition of Genova to Johannesburg (Johannesburg to Genova) has been exhibited as part of PAGE.PRINT.POST: 50 years of Artists Books (Post Office Gallery, Federation University Australia, 2014).